Which role does gender play? How many stereotypes are attached to children from a very young age? 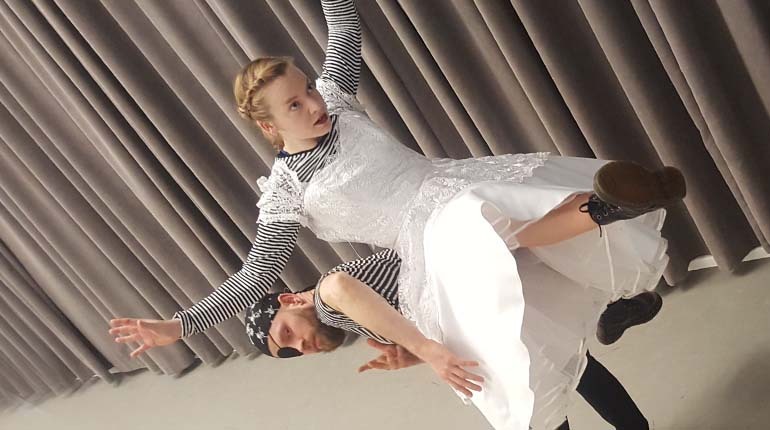 Princesses can be Pirates is a performance that deals with the gender question- this work wants to take children into an adventure to explore dance and to playfully question what is often considered “typical” or “normal” behaviour for girls and for boys, where play is everything and everywhere. Brave or foolhardy the two dancers join forces to unknown territories – in a series of hilarious scrapes and lively escapades as they swap toys, costumes and activities- to defy stereotypes and to break the norm. Princesses can be Pirates will be presented during our Ready, Steady, Show! mini-fest. Following on from last year’s hugely popular showcase, this year we have a line-up of new artists who will take up the challenge of devising a concept for a new piece of work for children between the ages of 0-6 and presenting their work in progress idea all on two special days!